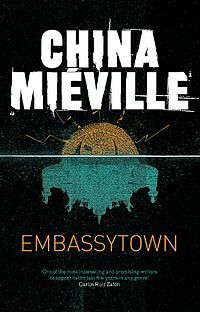 Published in 2011, Mièville’s 8th novel Embassytown has received a myriad of praise, receiving nominations for the prestigious Hugo award for best novel as well as the Nebula, Lucas and Arthur C. Clarke awards (Which Mièville already won for his novels Perdido Street Station, Iron Council and The City & The City). Embassytown received much praise from reviewers, with Ursula K Le Guin calling it a “a fully achieved work of art” and The Observer comparing Mièville with Orwell and Burgess. Being so recently published, There’s is very little to say about the novels historical context, which is also a fact that resonates within the text. As a piece of science fiction, the world within Embassytown bears more of a resemblance to our past through allusions to colonialism. Like any colony we see in Embassytown a constant blending of cultures, Avice’s own name is representative of this with Avice coming from the Latin Avid meaning bird and her surnames Benner Cho, the former meaning basket weaver in German and latter Cho a well known Korean family name. In glimpses of their religion we see allusions to Christ alongside the unknown (What is Pharotekton? ), and the very duality of the Ariekei language reflects this blend of cultures, as well as past and future models. In interviews, Mièville very much positions himself as a fan of science fiction, meaning that he is aware of the conventions of the genre but also its history. This is particularly pertinent as he is writing in the science fiction genre; indeed, his book, although innovative in its conceit, did not emerge out of nowhere and instead belongs to a wider canon of ideas based sci-fi. However, more specifically a group of works that broach notions of language and its effect on civilisation; a group which include writers such as Jack Vance, Robert Heinlein, Ursula K. Le Guin, Suzette Haden Elgin, Samuel Delany. Indeed, if it one looks at the work of these authors, it is evident that the device of created languages which reference our own language is not a new one. An example of this would be ‘the Languages of Pao’ by Jack Vance. The crux of this text is the idea of the development of a new language having massive and devastating implications on the world; at the start of the text, one can see that the characters converse in the invented language of ‘Pao’ however when a group of interpreters, to amuse themselves, invent a new language called ‘Pastiche’, an amalgamation of languages and grammar, the world of the text irreversibly changed. In Heinlen’s work specifically ‘the moon is a harsh place’, a language is invented so that humans may interact with computers; this was so influential that fans of the text actually attempted to learn the language used; Loglan.